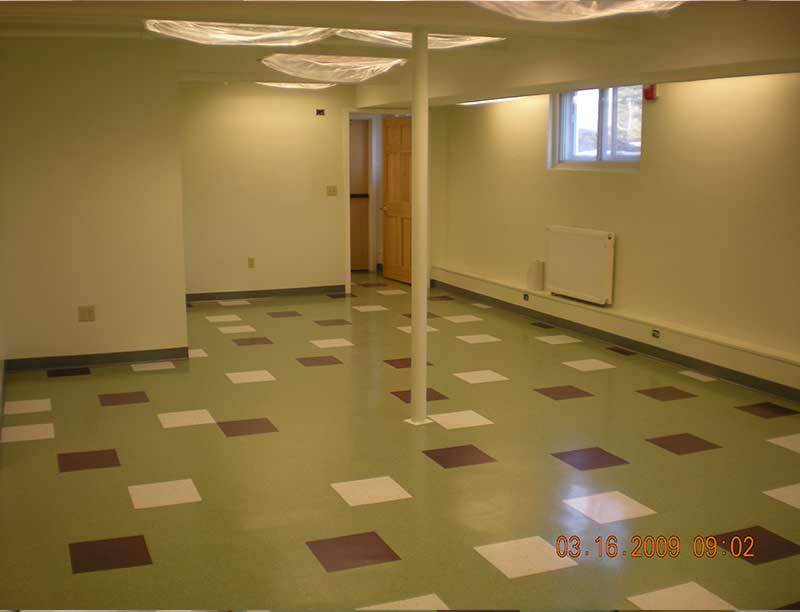 The town of Canaan contracted with Turnstone Corporation to complete the renovation of a portion of basement space that was not being utilized. 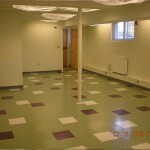 The renovated area was to be additional stack space and reading space for the library. The building that houses the town library also houses the town administrative offices. 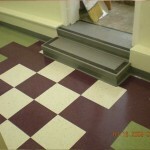 These offices are located immediately adjacent to the space that was being renovated. 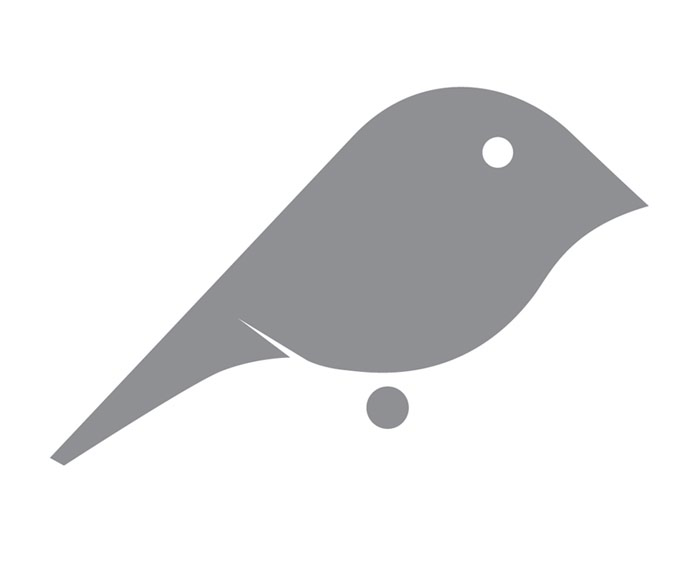 It was extremely important that the construction activity did not impede the town administrator’s daily operations. 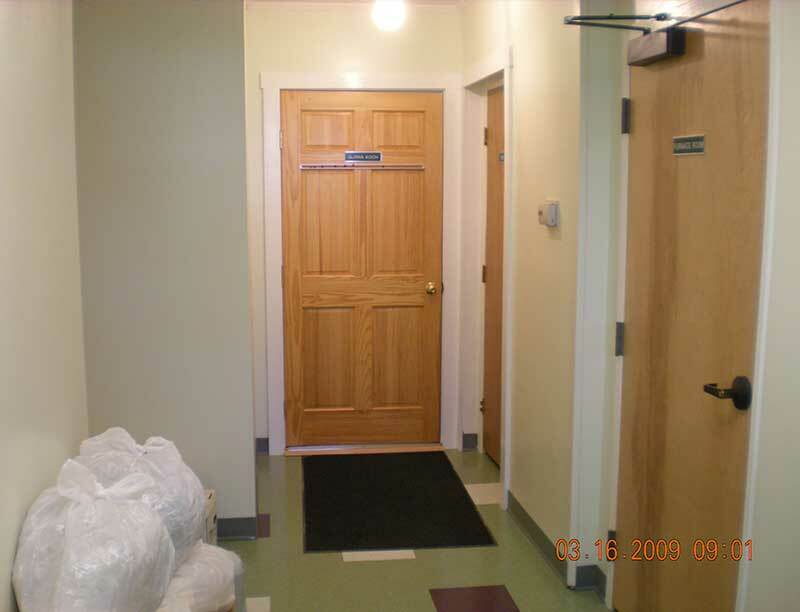 The renovated space was very small so naturally a great deal of coordination was required to maximize the efficiency of all the subcontractors that were on site at the same time. 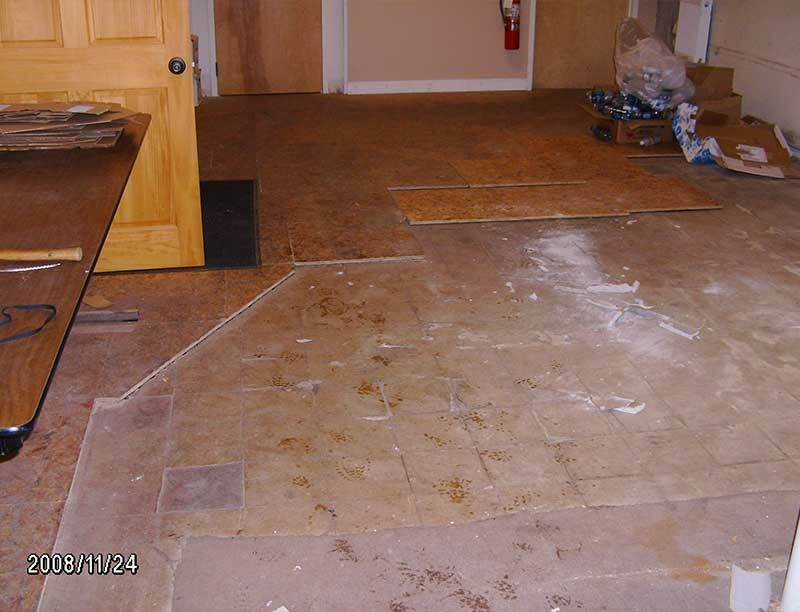 The existing vinyl tile flooring in the basement area contained asbestos. Roughly half of the floor already had new plywood subfloor put down. 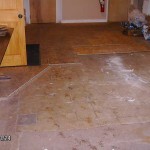 All of this subflooring had to be removed in order to abate the existing asbestos tiles. 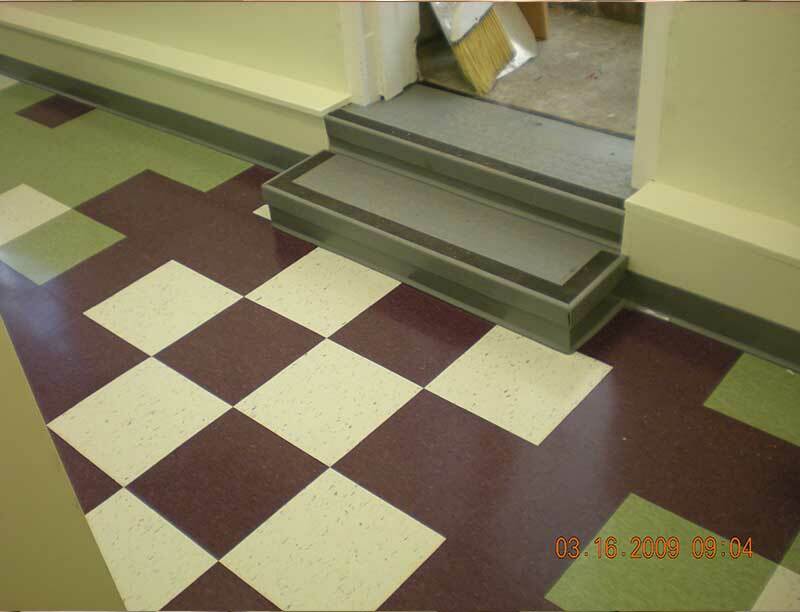 The newly exposed concrete floor was then coated with a self leveling compound to prepare the floor for new vinyl composite tile. 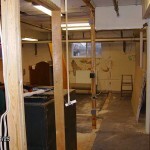 New wood stud partitions we built to create a more efficient space. 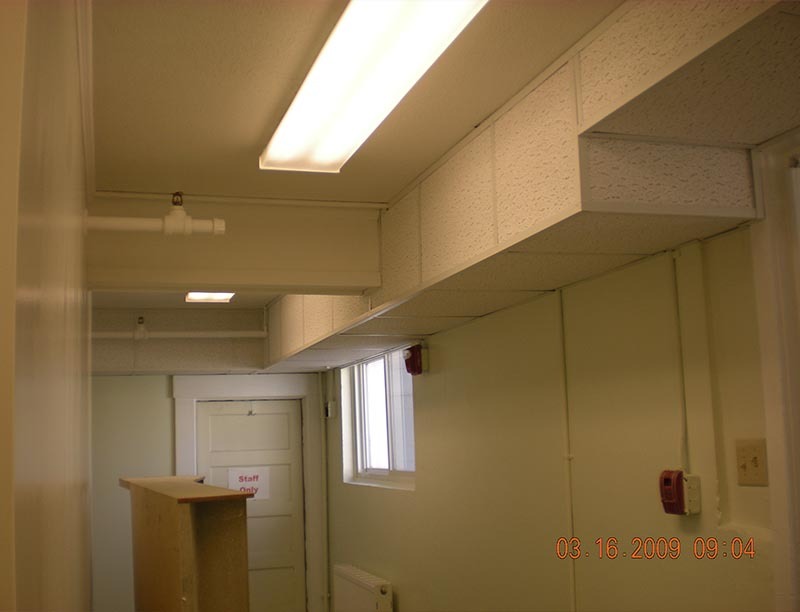 The existing textured ceiling was almost in complete disrepair. 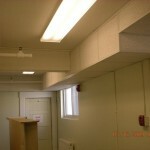 Turnstone was able to patch all of the existing holes and blemishes and retexture the ceiling to a like new condition. 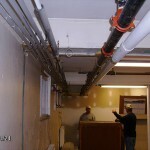 Two different large soffits were constructed to hide various piping and wires that ran along the ceiling. 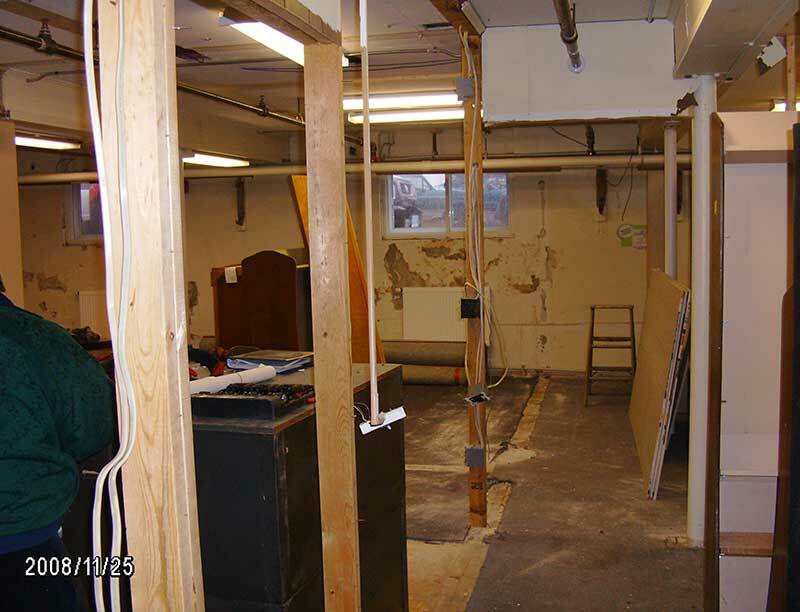 The exterior concrete foundation wall had been leaking water for a number of years. Turnstone’s field personnel patched the concrete with a waterproofing compound which also help give the crumbling wall a level uniform look. 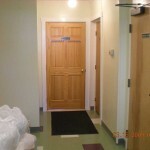 Turnstone’s filed personnel completed all of the rough and finish carpentry and painting. 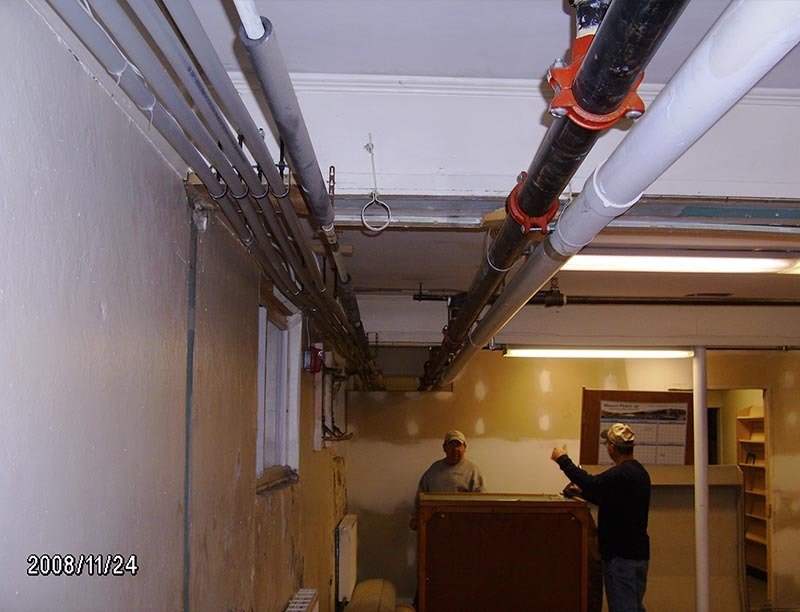 Electricians were hired to complete all of the necessary electrical and lighting upgrades.